This is not your typical review. 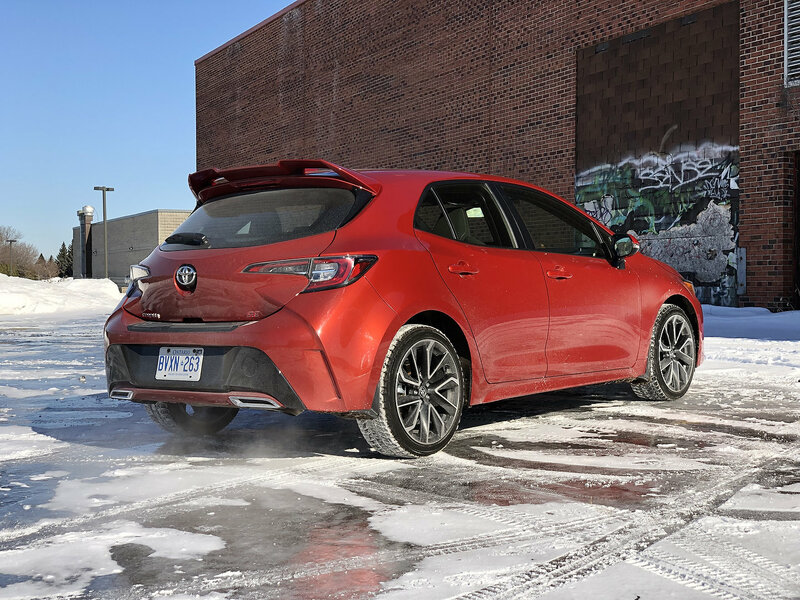 While I will address driving impressions, and touch on the car’s main issues, I intend to also formulate an opinion on what Toyota should do to maximize the Corolla Hatchback’s potential. Let’s start with the not so good news. 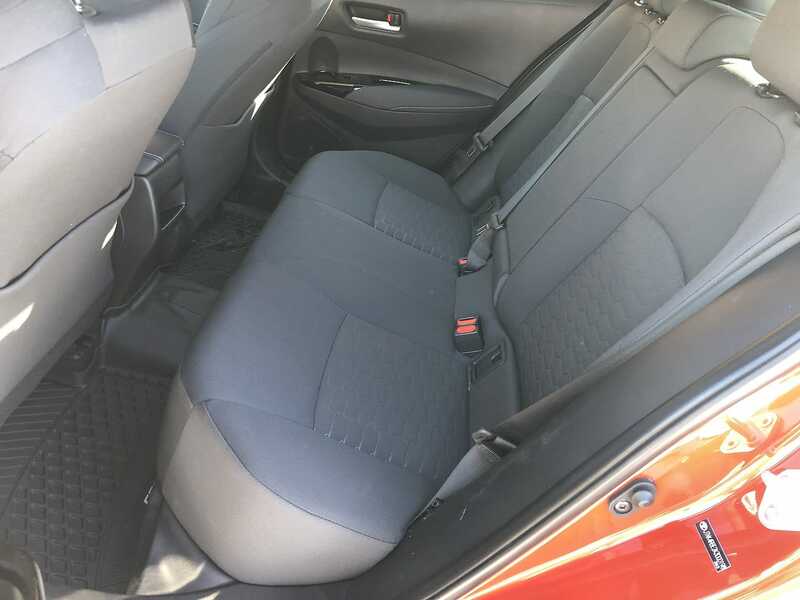 The main reason, more than any of the ones I will bring up shortly as to why you should not buy this car is space, or the cruel lack thereof. 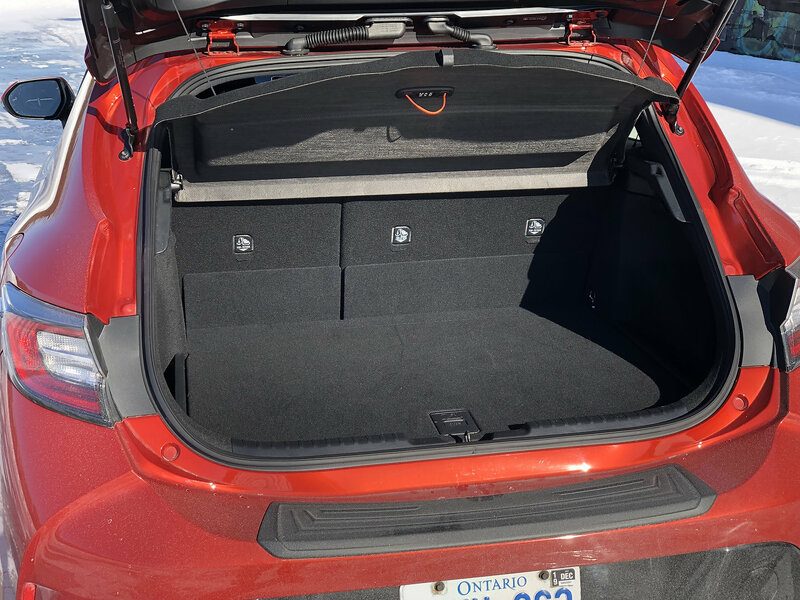 As a father of two small children, I have the opportunity of finding out how a car truly fits in the daily life of a typical Canadian family. 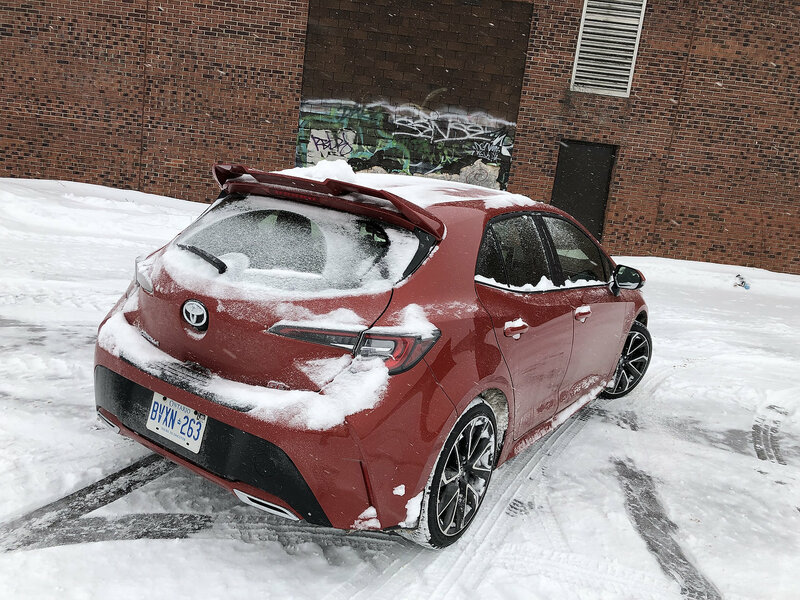 The new Corolla hatchback does not. With only one or two exceptions (one of which is the Ford Focus but it’s dead…), all others will do the job. 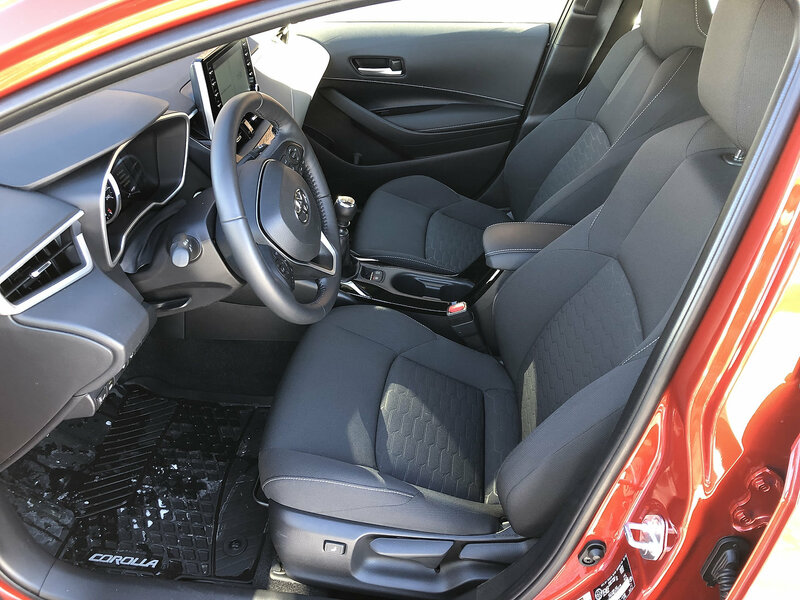 The Subaru Impreza and Crosstrek, Mazda3 Sport, VW Golf and Honda Civic hatchback all, with more or less ease, can handle the two baby seats and gear for the trunk without sacrificing comfort and visibility. 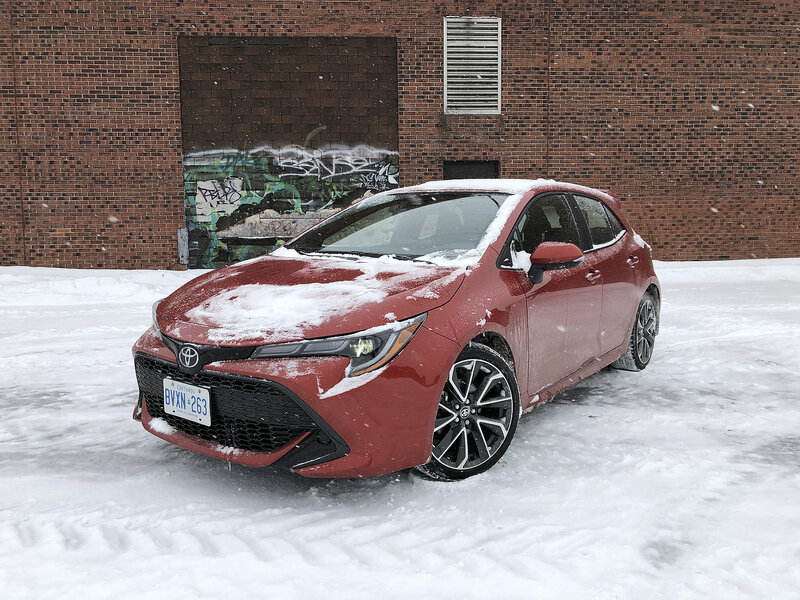 The new 2019 Toyota Corolla hatchback is a car for two with barely anything left over for one passenger in the rear for a short trip. One you and your partner in crime are loaded on board, the road ahead will be a mostly pleasurable one. 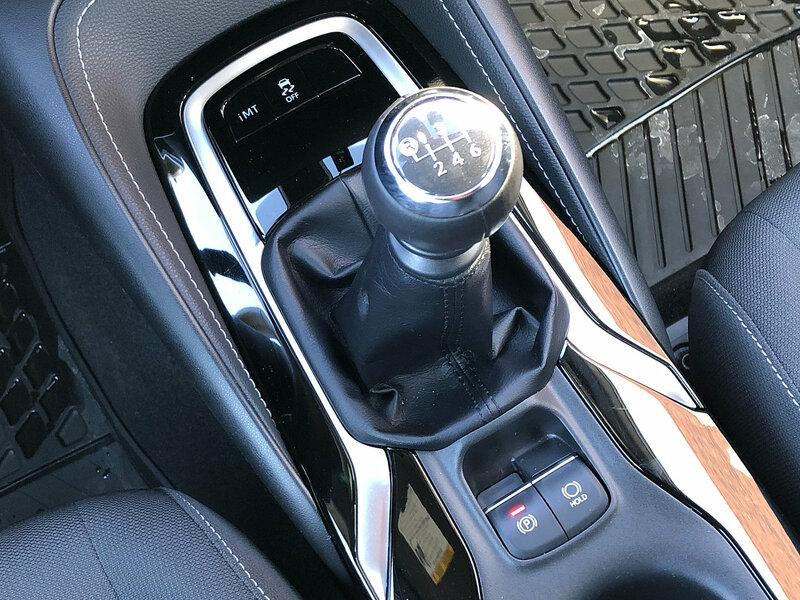 Although better with the variable transmission thanks to its real first gear, it is almost necessary in order to get the most out of the 168-horsepower Dynamic Force 2.0-litre 4-cylinder engine. Its power is marginal at best if driving briskly is among your hobbies like me. 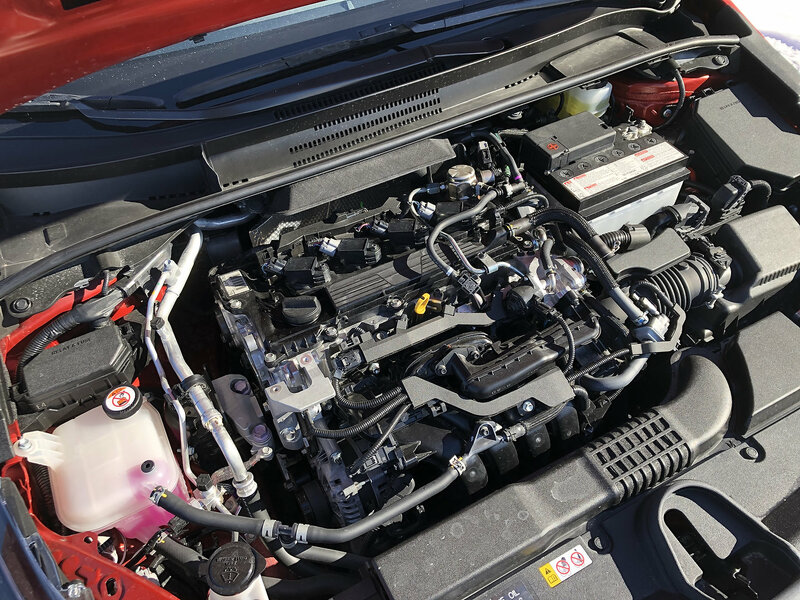 At the very least, the Corolla hatchback is easy at the pumps. 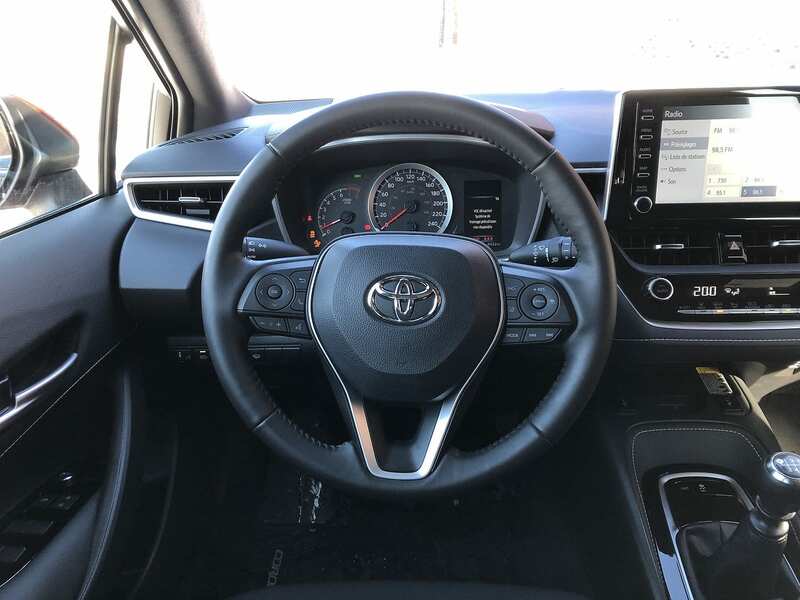 The tragic part is, and I’m repeating myself, the new Toyota New Global Architecture or TNGA platform has endowed the Corolla with skills that were until now reserved to the Golf and Mazda3. And finally, not that it’s an actual fault, but there’s a missing element that became brutally apparent while I was in possession of the car. Only the day after I picked up the car, grumpy old-man winter generously dumped a considerable amount of snow on our heads. 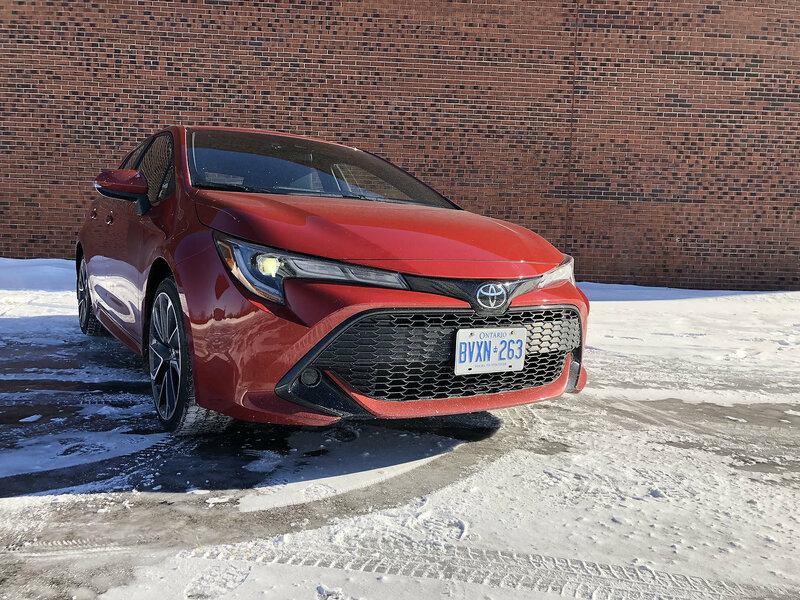 Despite excellent winter tires and battery of driving aids and safety features, I did not drive the Corolla as much as I had intended. 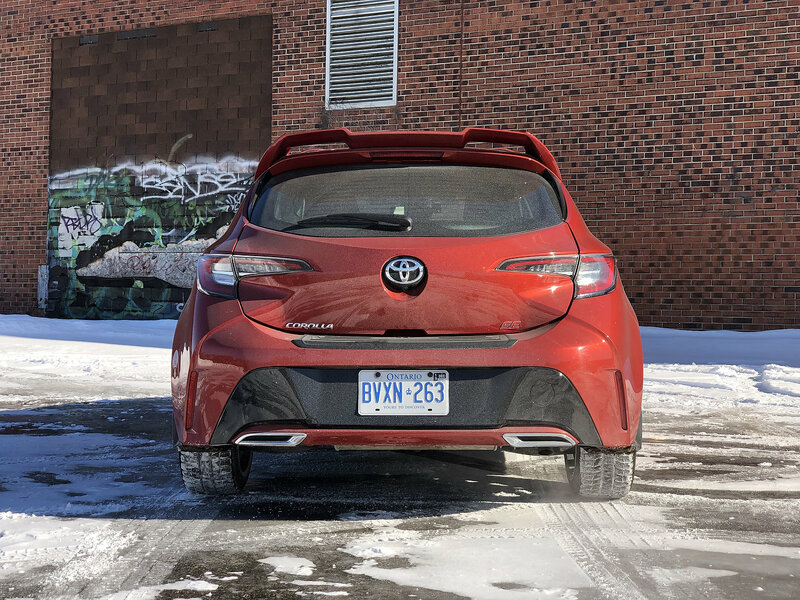 I longed for AWD, as one finds on the Impreza, new Mazda3, Golf Sportwagen, and most competing small crossovers. It’s simple really. 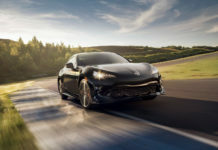 Scrap the Toyota 86 (love you! ), shelve the MR2 (if it was coming) and give us the also rumoured Corolla GR. 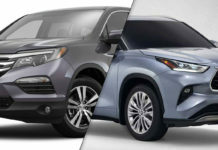 There’s no good reason for Toyota to continue to offer hyper-niche products that interest less than a handful of buyers around the globe like the 86 or an MR2. The Supra’s already here so it’ll satisfy hordes of Toyota sports car fans. 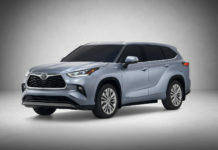 Now, imagine a 2020 Toyota Corolla GR 86 (AHA!). It would be da bomb. It would slot itself with the coolest, and hottest, of compact performance cars in the world. 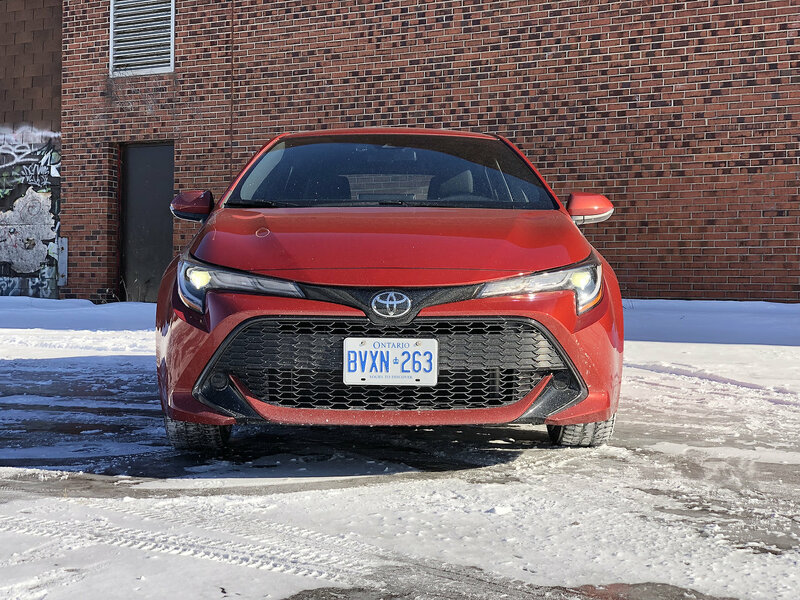 Said segment is in the midst of a resurgence and is where an AWD 300-horsepower 5-door Corolla would get loads more love and attention from a greater audience than the current 2-door RWD Toyota 86. 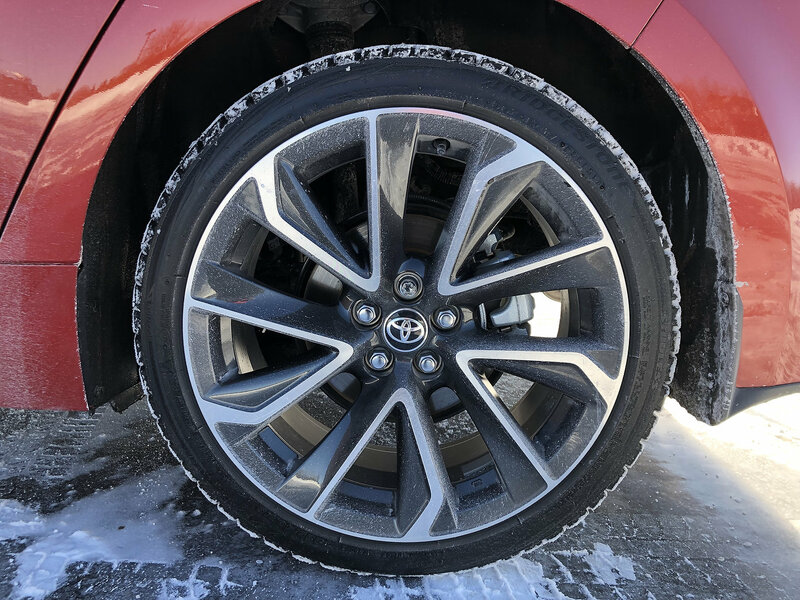 If anyone has any doubts has to how good the TNGA is or how competent the new Corolla hatchback is on the road, take one for a spin. 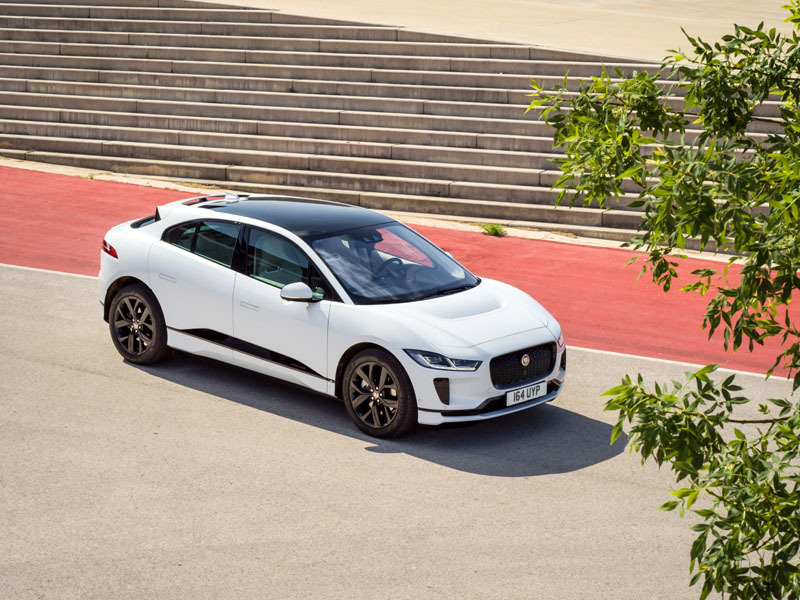 You’ll immediately be frustrated by the lack in power but once under way, the car will carry serious momentum around bends – maybe not in the dead of winter – as well or better than its competitors. 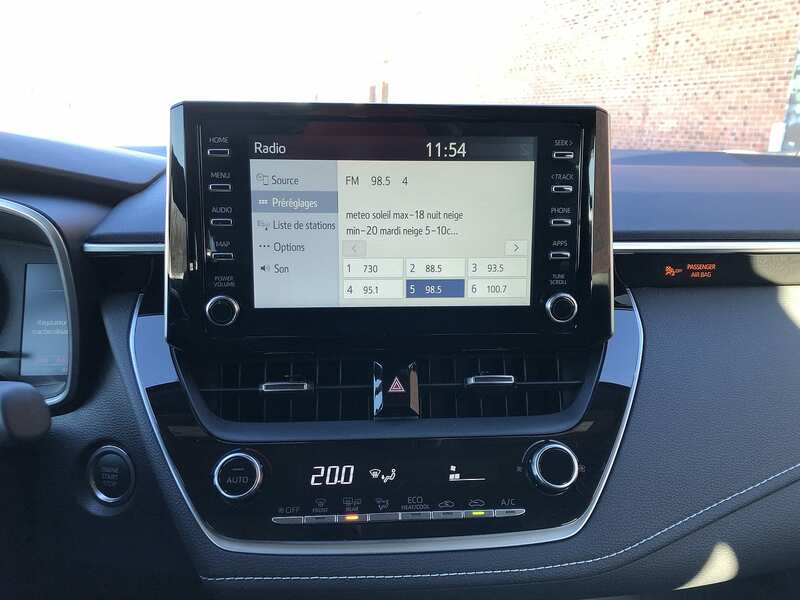 Hey Toyota? Do I have to call Gazoo Racing myself to tell them to go ahead with this, or what?